Until PCManFM (Lubuntu's default file manager) catches up and takes on a few more features, we'll have to use some terminal magic. You need sudo to carry out commands with administrator permissions (otherwise, no-can-do). fdisk with the -l (lower case L) option for list will show all storage devices with a device identifier - sda1, sdb2 and so on. mkdir or make directory creates a folder under /media to use as a placeholder; then the mount command hooks your drive's root folder onto that for use. I have LXDE on top of Juanty Xubuntu. It has Pcmanfm 0.5 on it. sticks. Never had to use a terminal command to do so. I put in the stick, the manager sees it right away. I right click to unmount. I know this post is prehistoric, but I'll try. My USB camera shows on lsusb, but not as a drive on fdisk, so I can't mount it. Suggestions? Blanco: I haven't a Lubuntu rig available at the moment, but this sounds familiar. For removal of doubt, can you mount it under an Ubuntu Live session and/or Lubuntu live session? Make sure the storage in the camera is recognised and readable elsewhere before modifying your installed system. PCManFM is able to mount and unmount devices, both manually and automatically, even if it appears fdisk cannot. Note: You must have a /media folder and have permissions to mkdir an empty folder under which to mount them. I recently installed Lubuntu 13.04 in an older machine (Athlon 2800XP+). It generally works fine and although PCManFM's preferences are set as per your suggestions, no unmount or eject options are shown. The flash stick, or external drives are properly shown in the "media" file and in "my computer" and they work fine. Any ideas? "mount: special device /dev/sdb1 does not exist"
Thanks for providing such great blog. 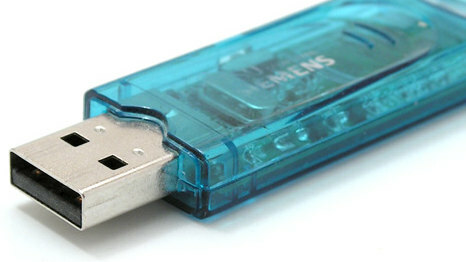 Excellent article on USB Drives which are explained in detail. Each and every aspect of USB Drives is comprehensively explained very easily. I am glad to see this valuable information. Full Circle Magazine and Podcast Available! Full Circle Podcast #02 - OUT NOW! Skype on Ubuntu Karmic: broken or not?